"Great service provided by Amir. " 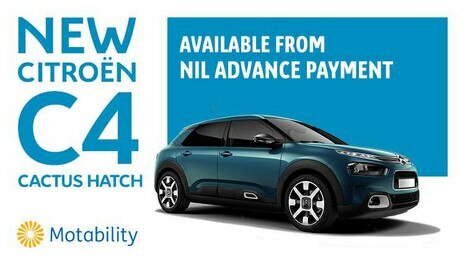 Wherever you live Motorparks and Oldham Motors Citroën can supply you a brand new Citroen with the Motability Scheme. 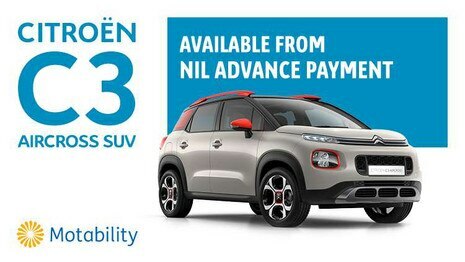 You can always expect great value from Citroën and right now there are over 20 models in the range with Nil advance payment, including the award-winning Citroën C3 and C3 Aircross SUV. 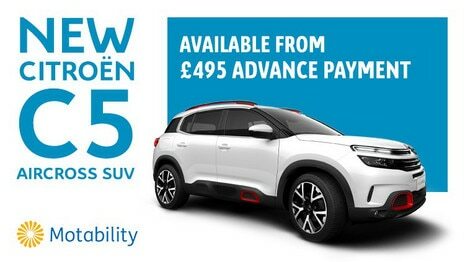 Enquire today with us to find out what the latest deals are when you have chosen the best model from their range for your needs. New C5 Aircross SUV is 100% Citroën in its design and character. Standing out as the most comfortable SUV in its segment, New C5 Aircross offers two exclusive Citroën innovations: suspension with Progressive Hydraulic Cushions® and Advanced Comfort seats. New C5 Aircross also provides intuitive systems and cutting edge technology with 19 driving aids and 6 connectivity technologies to keep drivers and passengers safe and connected. 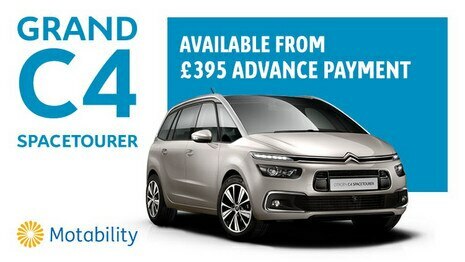 Available from £495 Advance Payment. Citroën C3 Aircross is a stylish and robust compact SUV. With the largest boot in its segment and class leading interior space, C3 Aircross is perfect for everyday practicality. Benefitting from the Citroën Advanced Comfort® programme and 12 driving aids, C3 Aircross SUV gives drivers and passengers unrivalled travelling comfort and safety. 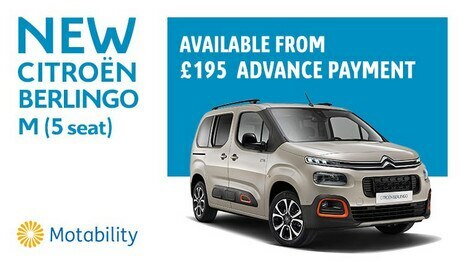 New Citroën Berlingo is a true all-in-one vehicle, elegantly encompassing everything you need on the move. Its spacious, comfortable interior stands out thanks to its many features, while the innovative and bold, exterior offers modularity and practicality. Now with fresh design cues and plenty of new technology, it’s more complete than ever. New Citroën Berlingo 7-seat can carry 7 people in pure comfort. Benefitting from the Citroën Advanced Comfort® programme, New Citroën Berlingo offers optimum ride quality, modularity and practicality. New Berlingo has a variety of exterior colour combinations, interior ambiances and intelligent technology making it the ultimate leisure vehicle. 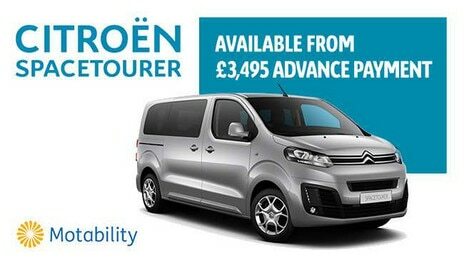 Available from £345 Advance Payment. 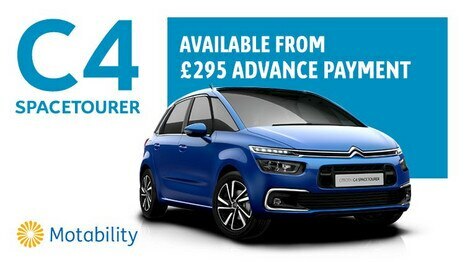 Available from £295 Advance Payment. 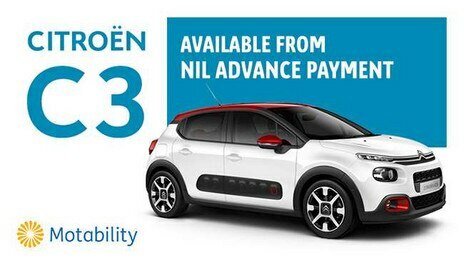 Available from £395 Advance Payment. Citroën C3 is characterised by a trendy and optimistic design, animated by coloured inserts and graphic elements like the Airbump® panels. Its expressive and unique shape makes it immediately recognisable in its segment. Style, personalisation, Citroën Advanced Comfort®, new technologies and ConnectedCAM Citroën®. New Citroën C4 Cactus Hatch has a bold character highlighted by its fluid design and strong graphic elements. Featuring suspension with Progressive Hydraulic Cushions® and Advanced Comfort seats, New Citroën C4 Cactus marks a major step forward in the Citroën Advanced Comfort® programme. 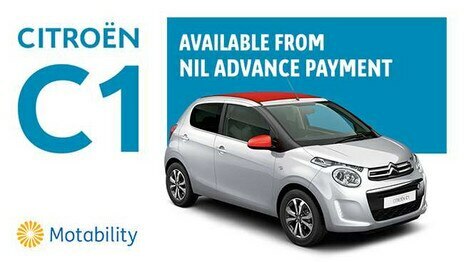 Available from £3,495 Advance Payment. What does the Motability Scheme offer? War Pensioners’ Mobility Supplements (WPMS). *All vehicles offered on the Motability Scheme are only available in a metallic paint finish and are subject to availability. Prices are subject to change.